Hello and welcome to my Martin LX1E Review. My first impression of this guitar was that it looked pretty cool. I knew it was going to be a smaller model guitar so the size wasn’t a surprise – it is quite a small guitar. I played the Ed Sheeran signature version of this guitar. O.k. 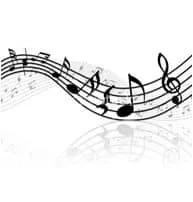 let’s get started with the sound. I heard good things about this guitar but I’m going to be honest that I was a little disappointed with the sound. No it’s not a super pricey guitar but it’s also not bottom of the pile in terms of price. The guitar is small so I certainly wasn’t expecting a big sound but I was expecting a little more than what I got. The sound lacked resonance and I couldn’t extract much volume even when really giving it some. It definitely sounded small and a bit tinny/empty to my ear. On a scale of 1 to 10, with 1 being the muddiest sound you can get and 10 being the sharpest sound you can get, I would rate the LX1E as a 7 out of 10. It’s quite bright sounding – but bright without the resonance, which gives it quite a tinny tone to my ear. O.k. let’s take a quick look at the materials. Top (Soundboard): Solid Sitka Spruce. This contributes the brightness of sound and should aid with a good dynamic range – but I didn’t feel like it achieved that with this guitar. Back and Sides: Koa HPL (high pressure laminate). Laminate back and sides are expected in this price range so no problem there and it does look really nice. Headstock: The LX1E features die cast tuners painted black. These felt fine to use so no complaints there. Nut and saddle: They use TUSQ (an artificial bone imitator) for the saddle, which is compensated and they use Black Corian for the nut. Both these materials are synthetic but they’re not cheap plastic parts. Definitely no complaints with these parts as I’ve played some really nice Martin’s that use these materials. Bridge: Black Richlite. Again this is a synthetic material but again I have no problem with this. It has the right properties for a bridge (hard and dense for transferring the sound from the strings into the soundboard). I only played this guitar unplugged. It apparently sounds better plugged in. But in my opinion a guitar should sound good acoustically first and foremost. This first video shows the Ed Sheeran X Signature Edition. The second video here shows the standard version. Was ok to play but not amazing and compared with the other guitar I played in the same session (in the same price range) it was not of the same standard. The action was actually set up ok. A lot lower than I’m used to seeing on a new guitar especially at this price but that was a pleasant surprise – but even with that better set up it couldn’t make up for how the guitar felt. It could have been lowered even more for my tastes but I don’t think that was going to be enough to make big improvements. For me the size thing was a little bit tricky. I found it hard to play certain chords in the higher frets but if you have smaller fingers or just wanted this as a travel guitar this wouldn’t be a big deal. I could still play everything up there I just had to concentrate a little harder and this is something you would get used to. The scale length is 23” which is definitely smaller than standard so less room to fit those frets in. The nut width is a standard 1 11/16 inch (43mm). This is within the standard range – on the narrower side of standard but a lot of guitars – even full size dreadnought guitars have this nut width. Whilst you’ve probably gathered that I wasn’t blown away by this little guitar, it seems I might be the only one! The user reviews are almost unanimously good for this guitar! It would also be great as a travel guitar for anyone. It’s smaller size makes it easier to carry around. I’m going to have to say no for this one. Whilst it’s not a bad guitar by any means, I don’t think it’s worth the price tag. I just think there are quite a few better options out there for a similar price. If you can pick one up for less than the going rate then it’s a good buy but I wouldn’t pay full price for this guitar. I have a $150 guitar at home that I play regularly. Now I’m definitely not saying that this is better than the LX1E, but it’s not as far off as it should be for the price difference. I don’t like to say anything bad about Martin Guitars because every single other Martin I’ve tried has been awesome but this one just didn’t do it for me sound or playability-wise. 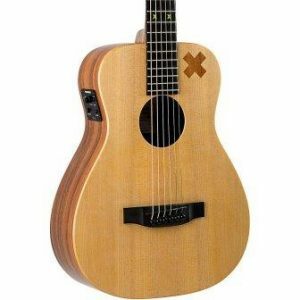 Now that’s not to say that I wouldn’t have this guitar as a travel acoustic or that I wouldn’t get it for my kids to learn on because it would be more than suitable for those jobs and I definitely wouldn’t be unhappy with it. But I personally wouldn’t buy it because I feel there are better options for the same price that can do the same thing. If it was a little cheaper then I’d definitely consider it. 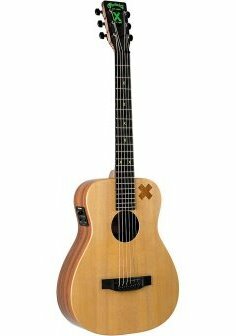 I did like the look of the guitar (especially the Ed Sheeran Signature Model) and it felt well-made but overall it didn’t do it for me. Of course I am just one opinion and based on the user reviews for this thing I might be the odd one out! 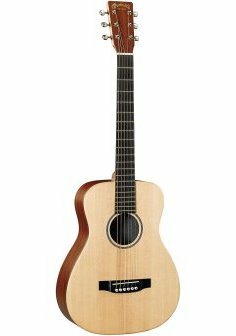 Maybe part of the reason I didn’t like it was because of the other guitar I played in the same session, which was the Taylor GS Mini Mahogany. Now that would be an awesome buy for the price range in my opinion. If you’re looking for other options in the under 500 price range then check out the link below. I’ve read some garbage reviews bit this beats them all. It’s the lx1e and is to be plugged in. Small hands? It’s a guitar to travel with. You’re never going to get a full sound unplugged with a mini guitar. Keep the day job. Thanks for your opinion – it’s much appreciated – even if presented without grace. I have played similar sized guitars with a much fuller sound – no, you won’t get as full a sound as larger instruments but there are others that give more than this guitar (which is explained in the review). Also, if it’s supposed to just be a travel guitar, then I imagine you are going to want to play it unplugged right? And I stand by the fact that this guitar would be easier to play for people with small hands – and I do mention that it’s a travel guitar option. I agree with this review. I would have been even more harsh. These things sound pitiful. It’s the only guitar out of my quite large collection that I regret buying. It is completely lifeless. NO resonance whatsoever. Just flat and boxy sounding. Tried all sorts of string variations and nothing changes. Taylor GS mini is the way to go. Thanks for your input. Good to hear another perspective on it.